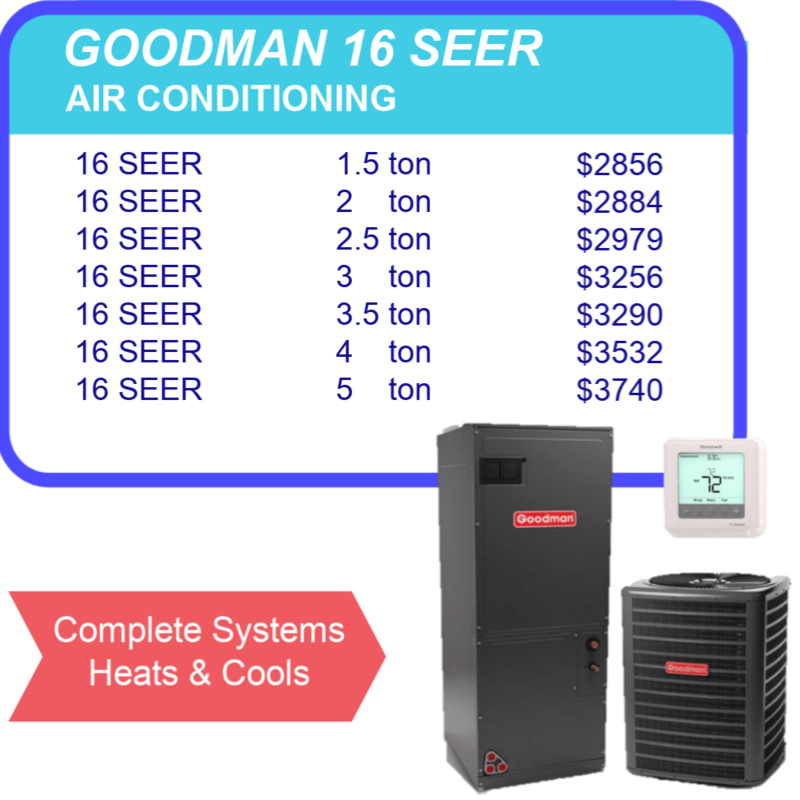 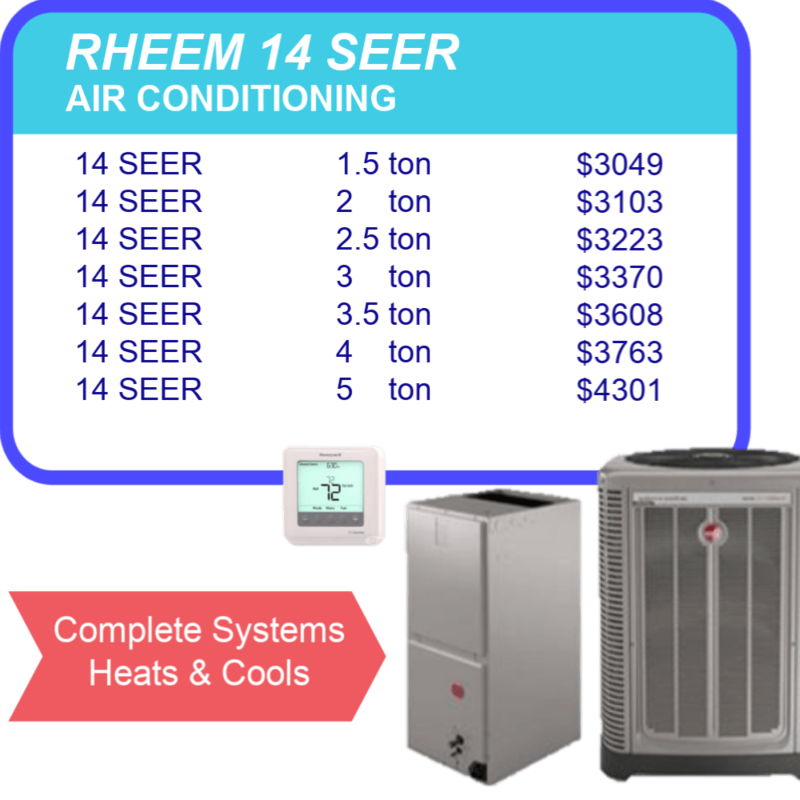 *Installation included with Air Handling unit in Vertical position, includes air handling unit (indoor) condensing unit (outdoor) electric heat strip and thermostat. 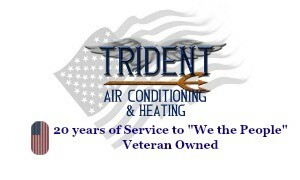 Manufacturers warranty is standard 10 years with registration by licensed professional. 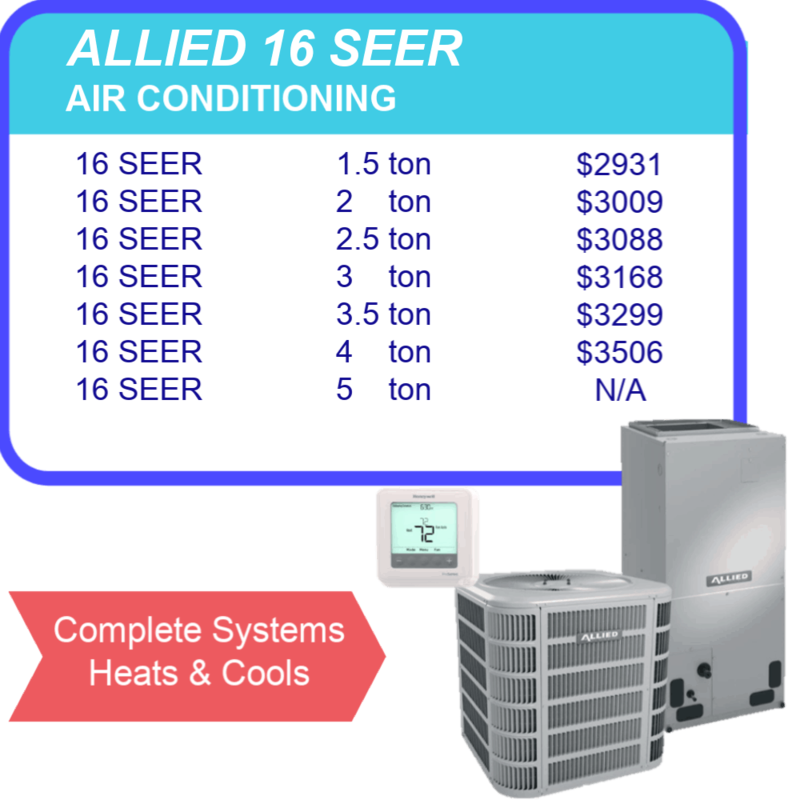 Permit price is not included, Trident or homeowner permit is optional for your convenience.